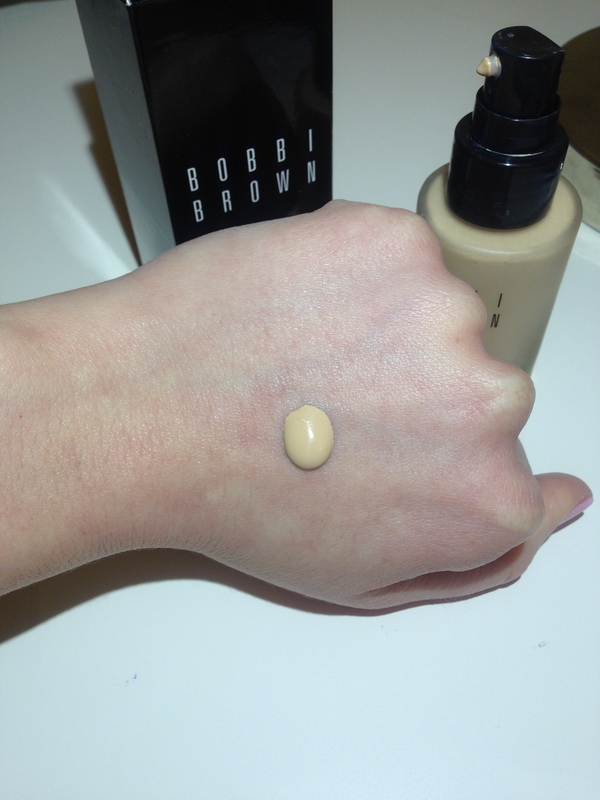 MY favorite beauty product is foundation because it balances my uneven skin and creates a beautiful canvas. 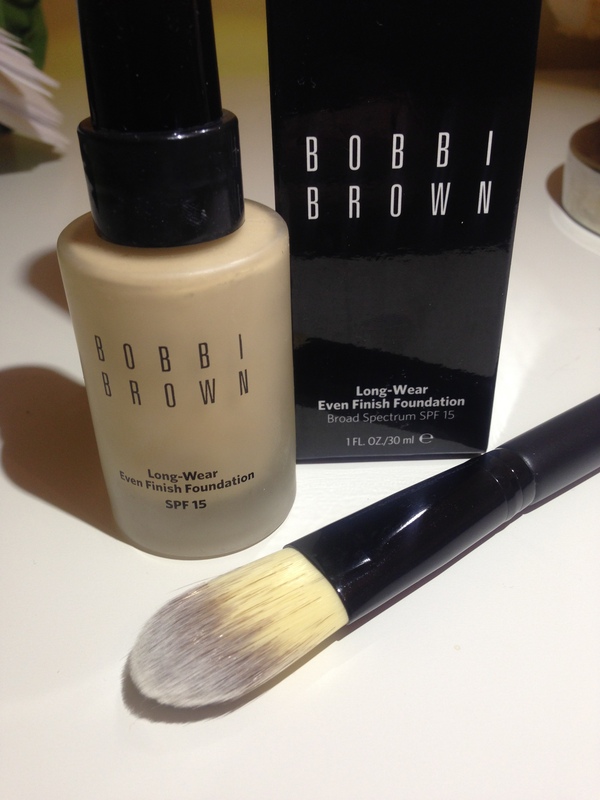 I am always in search of amazing foundation that will work well with my sensitive fairly dry skin, and I am happy to say after sampling Bobbi Brown Long Wear Even Finish Foundation from Sephora, I decided to go back and purchase the full size. I always look for foundation that will not break my skin out, balance of the redness in my face and blend well with the yellowness in my neck. I have warm/red tones in my face and this foundation in Sand 2 balances out my overall skin tone very well. To Use: Apply with foundation brush, fingers or sponge. I have applied using all three and they are both even in terms of application but the brush and the sponge are better options and your hands don’t get dirty. Also the foundation does look very natural on the face, one pump will give medium coverage, two pumps will give full coverage, no setting powder required for me but if you have oily T-zone than I recommend using setting powered to prevent shiny areas on the face. Also before applying the foundation I apply moisturizer about 15 minutes before, let it absorb and then proceed with the foundation application, this will keep your skin well moisturized and balanced before the foundation since it is a long wear formula. 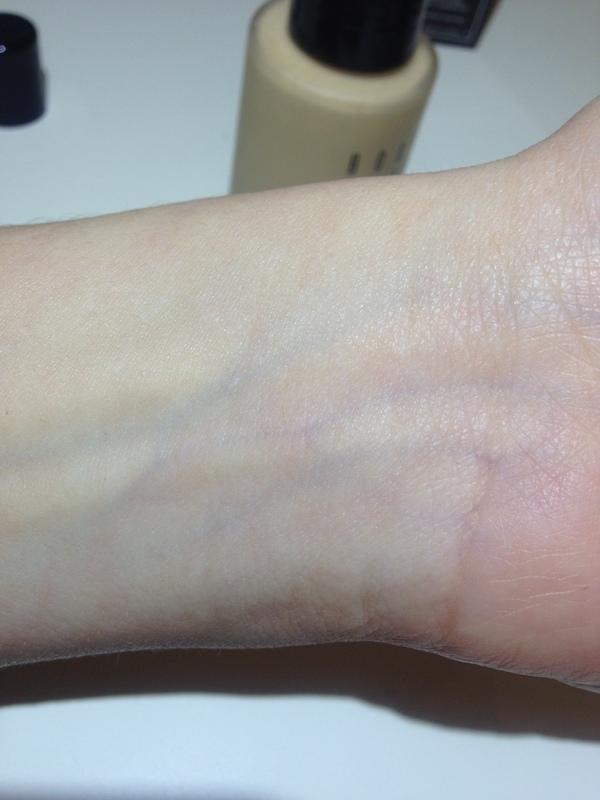 However, this foundation contains lavender (lavadula angustifolia) which is scented at first but once the foundation is set the scent seems to go away. I am generally very sensitive to lavender scents and I prefer to not have them but because the scent disappears within a few minutes the foundation is definitely worth keeping. Also once set the foundation does not move literally for 12 hours! Price wise it is more on the expensive side of the market, Sephora sells the product for $47 and Amazon sells it between $49-$69. Below will be links for both sites if you are interested in purchasing. 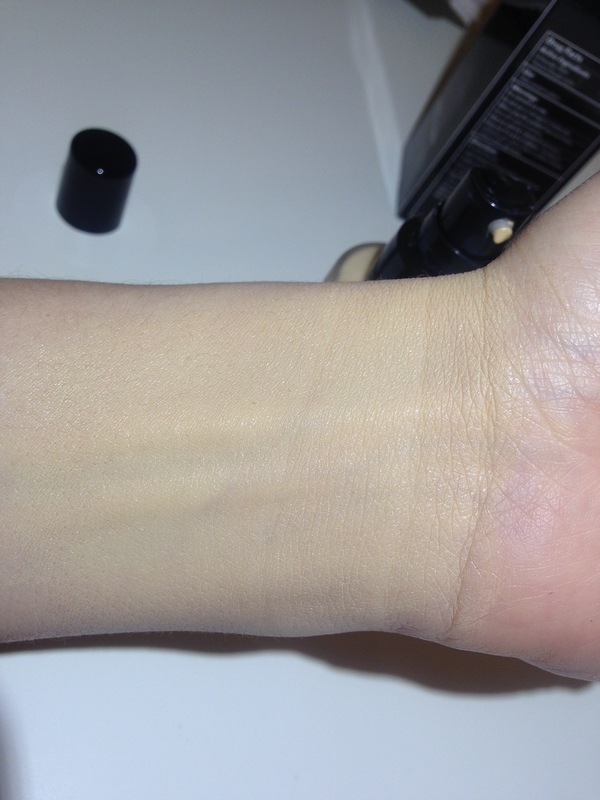 I have demonstrated the foundation on my wrist so that you can see how well it covers my veins that are blue and green and how it makes my skin even, also below is an image that shows how much one pump will dispense. Overall I love this foundation and I will definitely repurchase once I start to get low! Have you tried this foundation yet, if so leave comments below and let me know what your experience was with the product, good or bad.